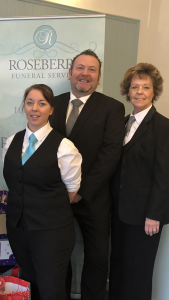 At Roseberry Funeral Service we aim to provide a dignified, caring, professional and personal service with attention to detail.This is something that only a truly independent funeral director can provide. Our aim is to give you the best service possible and help to ease the worry of arranging a funeral. A 24 hour service is available in order for us to bring your loved one into our care. We have been within the funeral industry for many years and pride myself on offering the best service to you.